While some members of the “Surf’s Up” Pro-ASD forum are sending letters to Sen. Patrick Leahy (D.-Vermont)Â in a bid to get him to endorse Ponzi schemes, Florida Attorney General Bill McCollum is working with legislators to strengthen securities and fraud laws. And McCollum also is working with AARP to strengthen the laws. Last year, Surf’s Up members tried to organize a campaign to solicit AARP’s support for Ponzi schemes — after earlier waging a campaign to have McCollum and a Florida TV station charged with deceptive business practices for shining the light on ASD. McCollum has joined forces with state Sen. Garrett Richter and state Rep. Tom Grady to introduce legislation that would broaden state authoritiesâ€™ ability to investigate and pursue securities fraud and enhance the registration requirements for investment advisors, dealers and others. The proposal would permit McCollum to participate in civil investigations with the approval of the Office of Financial Regulation (OFR). OFR would have enhanced enforcement powers under the proposal, authorizing “the emergency suspension of persons and firms for failure to provide financial books and records to OFR,” McCollum’s office said. Such a measure could be a killer to autosurfs. The autosurf trade’s existence depends on not revealing financials because they reveal the Ponzi nature of the programs. The surf model further depends on not registering as securities dealers and not registering the securities themselves. Virtually all autosurfs that employ the ASD model try to skirt securities laws by saying they’re selling “advertising,” not investments. OFR also could apopt sanctioning guidelines for registrants who violate the Florida Securities and Investor Protection Act. “These enhanced capabilities — plus the Attorney Generalâ€™s ability to engage in civil investigations — will help prevent and discourage future bad acts by a financial advisor or firm,” McCollum’s office said. 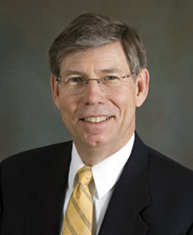 Grady (R.- Naples) is a securities attorney and expert in securities regulation. He drafted the bill and is sponsoring it in the House. â€œIn order to have a strong economy, investors must have confidence in the market. By increasing the tools available to the state to prosecute violators of our securities laws, we protect investors and foster needed trust in the system,â€ Grady said. Richter (R.- Naples) is a banker. He is chairman of the Senate Banking & Insurance Committee, and is sponsoring the bill in the Senate. â€œThe integrity of our markets is critical to building a strong economy. This legislation will reinforce our regulatory system and bolster investor trust,â€ Richter said. Under the bill, OFR will be permitted to increase the penalties for violations of the Florida Securities and Investor Protection Act. Penalties may include suspending or permanently barring violators from doing business in Florida. “It will also strengthen the licensure registration process by providing additional grounds for denial of a registration, including imposing disqualifying periods for persons who have been convicted of certain crimes,” McCollum’s office said. “There is a need to reinforce our regulatory framework. The proposed legislation will provide the Office with the means to take swift action against violators,â€ said Alex Hager, Interim Commissioner of OFR. Florida senior citizens are constant targets of scammers, and AARP said it supports the legislative initiative. Some Surf’s Up members have championed “Professor” Patrick Moriarty’s idea to write letters to Leahy, chairman of the U.S. Senate Judiciary Committee, in a bid to get him to investigate the prosecutors in the ASD case. Leahy is a former prosecutor. In 1974, prior to his Senate days, he was named one of the top three prosecutors in the United States. Dont know how I missed this one. Any news on the proposed introduction of the new legislation? It is good to see that conventional law enforcement agencies are beginning to see the importance of the involvement of the internet to promote these ponzis.